Anyone want to bring their dog to their family photo session in Logan, Utah? Well, then, give us (Convincing Image Photography) a call! We are always happy to include your pet in your family session. Why would anyone want to bring their pet? We know that they are a part of your family! 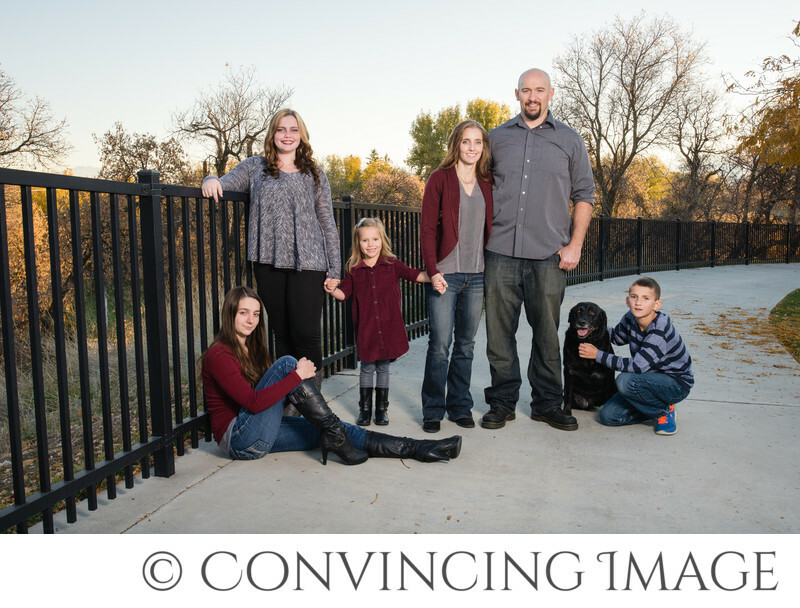 Sometimes the furbabies are the most important part of the family session. Especially if your pet is getting older and you're not sure how much longer they are going to be around. You will be so happy to have included them in at least one photo session. We have taken pictures of many pets over the years. We also are the proud owners of two dogs, which means we are used to pets and know how they can react at times. We are very patient and take our time to help them to feel calm and secure. We do encourage (as we do with children) you to bring a few things that will help the pet to relax. Sometimes a little dog treat or a favorite toy will do wonders to help to sooth them. We also recommend that you choose a location that first of all, is pet friendly, but 2nd of all that your pet may already recognize. That will also help them to feel at peace with the photos. Location: The Boulevard, Logan, Utah.